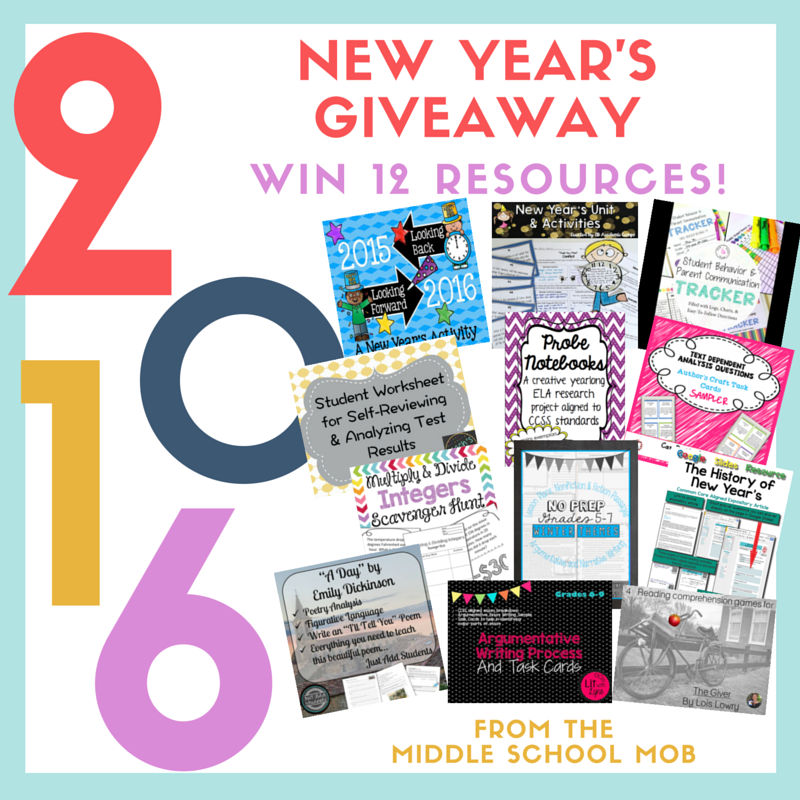 I'm so excited to be linking up with the Middle School Mob, who I also blog for, in order to be a part of this amazing New Year's Giveaway! 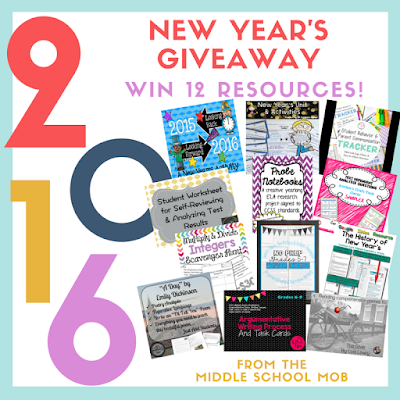 Twelve teacher-authors have donated excellent products to help the lucky winner get their 2016 off to a great start! We will also be sharing some activities we do with our students to celebrate the New Year. 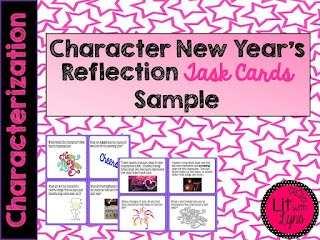 Since my students will be working on characterization, I will have them complete my New Year's Character Reflection Task Cards. 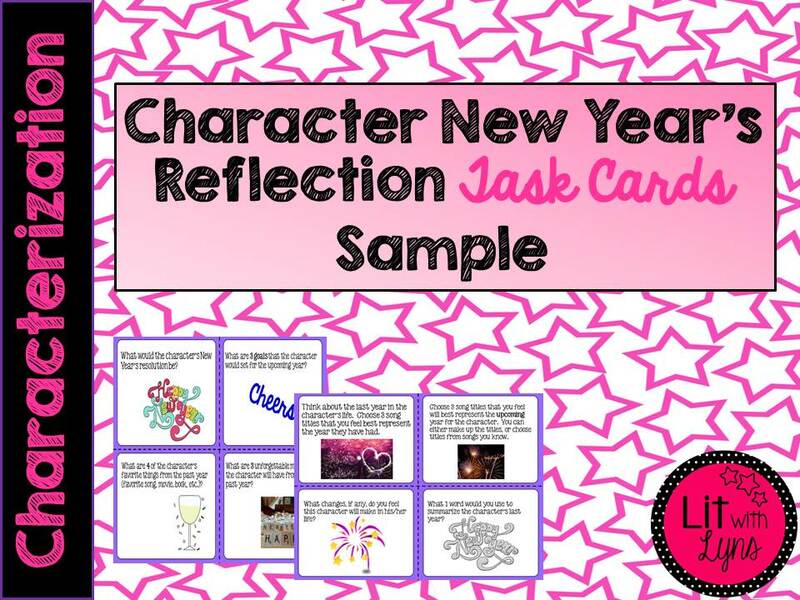 There are 20 task cards that require students to think critically about the character(s) being addressed, as well as to support their answers with evidence. I also made a sample of this product with 8 of the task cards that can be downloaded here for FREE! Check out some other great activities to use with your students after the Christmas break! 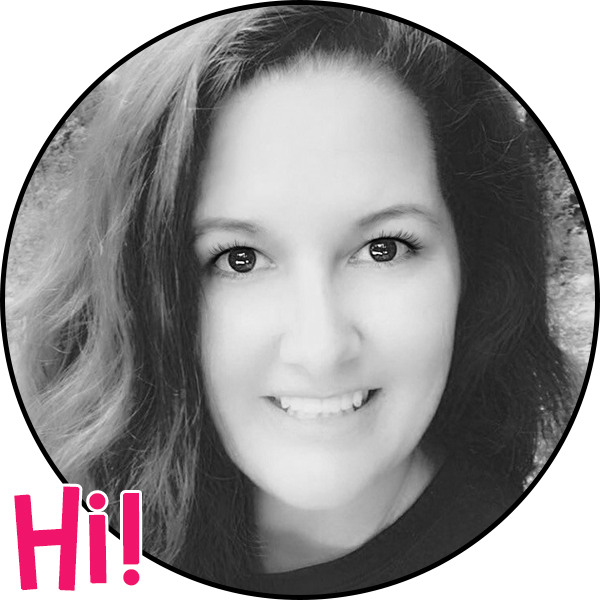 And don't forget to sign up for the giveaway for a chance to win some great products!!! Such a fun and engaging lesson that can be used all year round! Thank you for sharing.